What if you could see the data that institutional investors use in real-time? What are they buying now? What are they shorting? Hedge funds pay over $100,000 a year for access to this kind of data, but it’s never been available to retail traders. Why is Simpler Edge so powerful? Until now, the public has to wait over two weeks to get short interest data updates. Simpler Edge offers real-time short insights via S3 Partners' data and makes it possible to identify stocks with the potential to make explosive moves. This breakthrough is so exciting because extreme levels of short interest can lead to extraordinary trading opportunities. In fact, John Carter was able to make over $1.41 million in 24-hours because he identified a high short interest situation in TSLA. 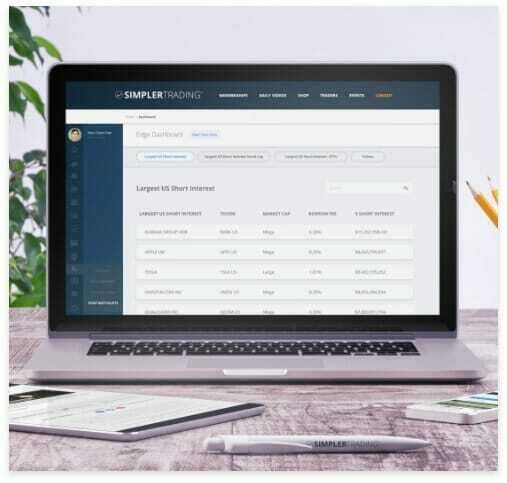 The Simpler Trading team has over 100 years of combined experience. And we’re always looking for ways to increase our edge over Wall Street. When we discovered S3 Partners technology could deliver real-time short interest insight data, we instantly recognized the profit potential. If you haven't heard of S3 Partners before, S3’s award-winning technology and data integrity have been recognized by Institutional Investor and Waters Technology. S3 is an official provider of technology and data to Bloomberg, Nasdaq, and Reuters. What makes S3 unique is their ability to drill into data on $2 trillion in daily financial transactions and distill actionable analytics like short interest insights. That’s why S3’s analytics are regularly referenced by 100 media outlets, including The New York Times, Bloomberg, and Business Insider. 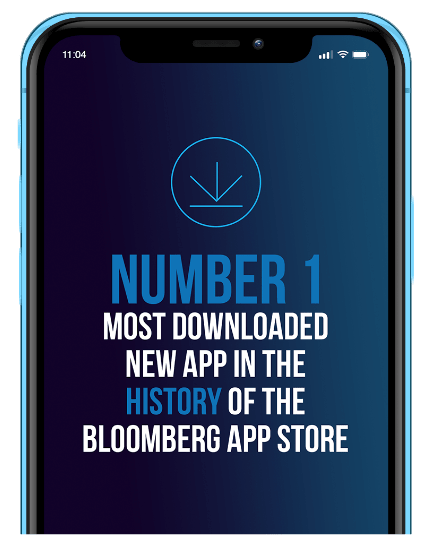 In addition, S3’s BLACK APP, is the best selling app on Bloomberg! Our vision was to extract the distilled data and turn it into actionable trading ideas for our community of Simpler Edge members. 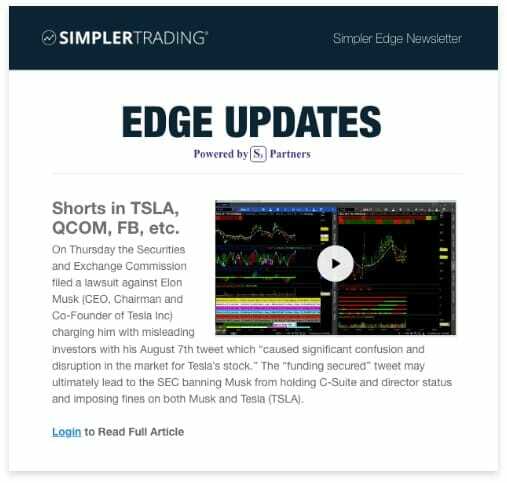 As our newest membership, Simpler Edge is on the forefront of cutting, fast-paced, accurate market information. Edge members are the only members to get exclusive access to market headlines before anyone else! This is your executive overview of Simpler Edge data and analysis so you can quickly and efficiently stay on top of the opportunities that interest you the most. On Fridays you will get a recap of the week’s insights as well as forecasts for the coming Monday. Our goal is to make sure you are prepared to take full advantage of any trading opportunities. We'll send updates throughout the week on newsworthy market topics deemed as headlines from S3 Partners. You'll want to watch closely for these updates because Simpler Edge members get access before the same information is released to major media outlets. 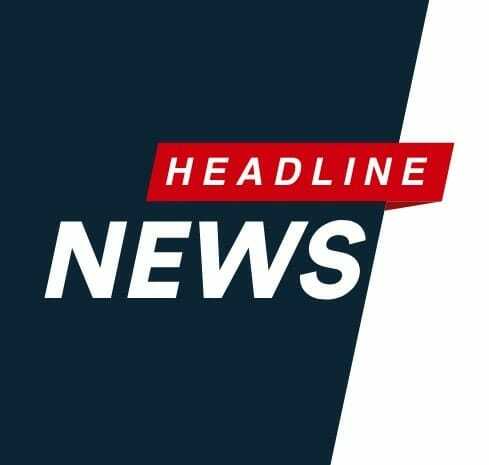 In a world where minutes can mean millions, just imagine having access to news headlines 30 minutes before the mainstream media! What's on your watchlist can determine your opportunity for success. If you're watching the wrong stocks, your odds of picking winning trades decreases, right? What if you only watched stocks with potential catalysts for big moves? That’s why Simpler Edge distills the symbols from S3’s updates into an easy to follow watchlist. For a limited time, we're offering a 30 day Membership for just $97. Your membership will automatically renew thereafter at the low rate of $97 per month. You can cancel at any time. Be aware that we may never offer a rate this low again. To take advantage of this offer and get instant access, click the button below.